SF Appliance Repair services all brands and models, foreign and domestic, with 24/7 service so that broken appliances never slow down your business or household. We service all major home and commercial appliances including refrigerators, freezers, washing machines, ice makers, dishwashers, ovens, ranges, stoves, cooktops, garbage disposals, and clothes dryers. Our quality appliance repair services are not only affordable but they often save you money by noticeably reducing your energy bill. Instead of dealing with the headache and cost of buying new appliances, protect the investments you've already made with high quality maintenance. 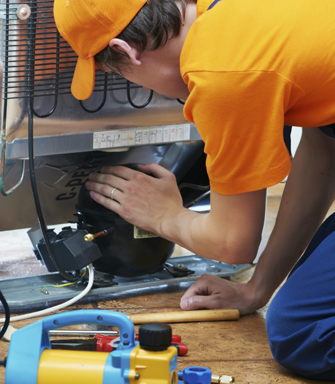 Let the pros handle the dirty work and rest easy with SF Appliance Repair. We have been in business for 22 years because of our reliable knowledge and expertise for appliance repair services of delicate European brands and American-made products alike. We repair all brands and models including those that have no representation in Marin County, San Francisco and San Mateo County. We are the preeminent San Francisco Bay Area company for servicing foreign & rare European appliances by brands like Asko, Bosch, Electrolux, Fisher & Paykel, Gaggenau, LG, Miele, Samsung, Sanyo, and Thurmador. We also specialize in all American-made appliances by Admiral, Amana, Caloric, Dacor, DCS, Dynasty, Emerson, Frigidaire, Gaffers & Sattler, General Electric, Gibson, Hotpoint, InSinkErator, Jenn Air, Kenmore, KitchenAid, Magic Chef, Maytag, Modern Maid, Montgomery Ward, Norge, Okeefe & Merrit, Robertshaw, Roper, Sears, Speed Queen, Sub-zero, Tappan, U-Line, Viking, Wasteking, Wedgwood, Westinghouse, Whirlpool and Wolf. Dealing with dishwasher, washing machine and clothes dryer repairs has never been easier with our 24/7 service calls. Within our initial phone conversation, the SF Appliance Repair team will gather as much information as possible to diagnose the problem and arrive on the scene with the right appliance parts. Upon diagnosing the appliance in person, our service personnel will provide an estimate on the spot and get your appliances up and running in no time. Maximize the lifespan of your expensive appliances with the right care, and you will reap the benefits for years to come. Contact us today to get started!